The Best Camping Gear, Gadgets & Electronics | Ranked/Reviewed for You. The Best Outdoor Gear, Gadgets, and Electronics for Camping. the best camping gear, gadgets, and electronics: ranked, reviewed, and tested. Are you searching for the best camping gear, gadgets, or electronics for your next camping, hiking, or outdoor trip? After all, you go camping to unplug. Really, the backcountry is the ultimate get-away from today’s modern distractions. Why would you want to bring outdoors electronics with you? Well, for one, you can find camping electronics that do just about everything, from emergency communications, to documenting your journey with video and photos. The right smartwatch or handheld GPS can keep you on course. The right action cam can make your Instagram stories pop. And a useful power station will keep your devices charged, no matter where you are. Sure, most electronics are luxury devices in your camping backpack. But there are some that can be life-savers, help you follow trails better, and stay connected during long-haul travels in the backwoods. No matter if you’re a purist, or you’re a tech-savvy hiker, these electronics all have practical outdoor uses. The Best OUTDOOR ACTION CAMERAS for camping and hiking. 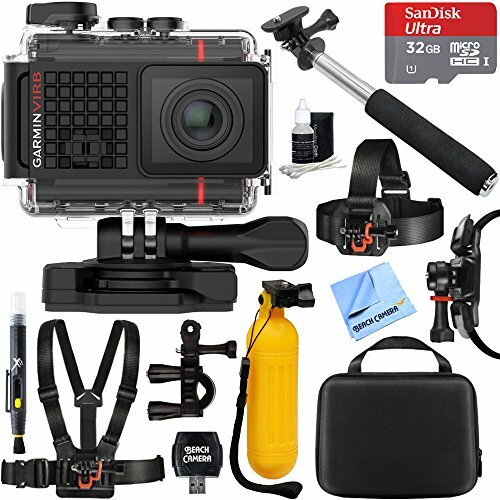 Capture the excitement of your adventure with a great action camera. GoPro rules the roost, but there are numerous top-notch adventure cams out there. GoPro launched the action cam revolution. And one of the company’s latest, the Hero7 Black, puts on a show in terms of features. A key upgrade is the new HyperSmooth image stabilization. Whether you’re mountain biking, trail running, or snowboarding, the Hero7 spits out videos that are smooth as butter. No jostling or jerky motions. Another great feature: The Hero7 is waterproof and you don’t need to put it in a case to protect it from water. Most action cams aren’t truly waterproof, unless they’re in a case. But the Hero7 is fine in up to 30 feet of water. Plus, the voice commands make hands-free recording super easy. Take photos, videos or set reminders with simple voice commands. The only shortcoming: the battery drains more quickly when shooting in 4K 60fps. the Hero7 Black from GoPro will take your video making to the next level. From 4K 60fps, to HyperSmooth, it’s one of the best outdoor and sporting cameras on the market. The GoPro Hero7 is sporty, agile, and has everything you need to record top quality outdoor trips and journeys. 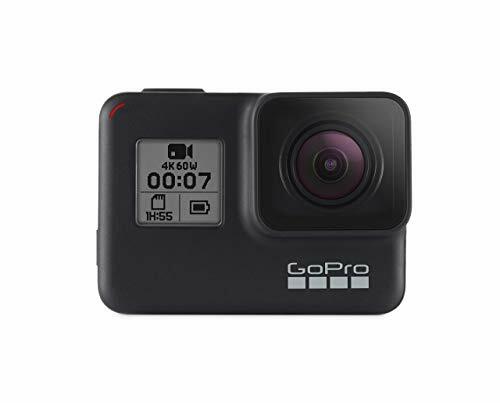 >> Learn how to buy the GoPro Hero7 Camera! Sony’s HDR-AS300 looks like a tiny handheld camcorder. But it’s much more than a video camera. This is the ultimate outdoor multimedia tool. Take incredible stills. Capture time-lapse videos. Or use the ultra-wide angle to record your destinations in all their glory. Bottom line, if you want to create great videos and take awesome pictures, this is one of the best. The camera is equipped with some pro-quality features. The HDR-AS300 uses a ZEISS Tessar lens, which greatly reduces lens distortion and provides crystal clear viewing. An easy-use remote control allows you to snap photos and video remotely. And you can use the burst mode to take vibrant 12-megapixel stills at 10 frames per second. That’s perfect for capturing out-of-this-world action shots. Sony makes great cameras. And the HDR-AS300 is proof. It’s the perfect rig for trail videographers. We absolutely love the Sony HDR series for outdoors and you can’t go wrong with picking this one. 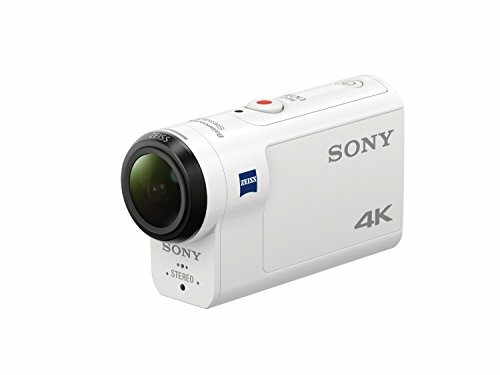 >> Learn how to buy the Sony HDR-AS300 Camera for Outdoors! The Garmin VIRB Ultra 30 might be one of the smartest action cameras on the market. For starters, you can control it with voice command. Start and stop recording, take stills, and add reminders with simple voice commands. Plus, the camera’s functional touchscreen display – a fairly wide 1.75-incher – is easy to use. But even with all these great features, the VIRB Ultra 30 takes photos and videos that will wow you. You can shoot in full Ultra HD 4K at 30 frames per second. And the built-in sensors add metadata to your pictures, including your speed, distance and altitude when you took a shot. Plus, the 3-axis image stabilization cuts out the bumps, even if your flying down single track. the Garmin VIRB Ultra 30 will run you a pretty penny. But if you’re serious about video, it’s a powerful tool that produces crystal-clear 4K shots and video. >> Learn how to buy the Garmin VIRB Ultra! Want a little insurance when the trail gets a little difficult to follow? A reliable GPS unit can keep you on course, let you plan and remember the route you took, and keep an eye on terrain. The GPSMAP 64st hits all the right marks for a handheld GPS. This small handheld – just 8.1 ounces with the batteries – has incredible battery life, at 16 hours. Plus, it provides accurate location information for hikers, climbers, and hunters. The unit comes preloaded with Garmin’s TOPO U.S. 100K maps, which are super-detailed topographical maps. See terrain, water sources, elevation and more, and they’re comparable to 1:100,000 scale USGS maps. You’ll also get a one-year subscription to BirdsEye Satellite Imagery, which provides great photos of the trail. The tilt-compensation compass is a nice touch. Get directional data without having to hold the unit flat. 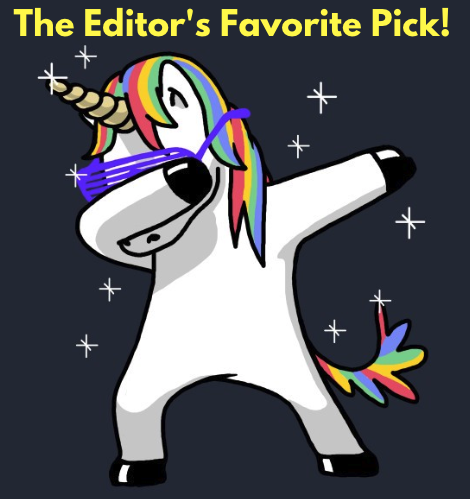 Plus, there are tons of other useful features. You can sync it with your iPhone for text and call notifications. And with 8GB of memory, you can also add custom maps, or create trip plans with the BaseCamp software. for a tiny handheld, the Garmin GPSMAP 64st is accurate and one of the best units for the price. >> Learn how to buy the Garmin GPSMap for Your Next Trip! The eTrex has long been a favorite entry-level model. And the eTrex 30x is the most advanced version yet. The unit is equipped with 3.7GB of memory – an upgrade over predecessors – and that’s ample room for custom maps. Plus, it boots quickly and locks onto satellites in a flash, helping you stay on course without having to wait. A key feature is the 2.2-inch display, which gives you a more readable picture. The one downfall: there are only a few maps preloaded on this unit. You’ll have to add your own – whether free, or Garmin’s TOPO 24K maps. 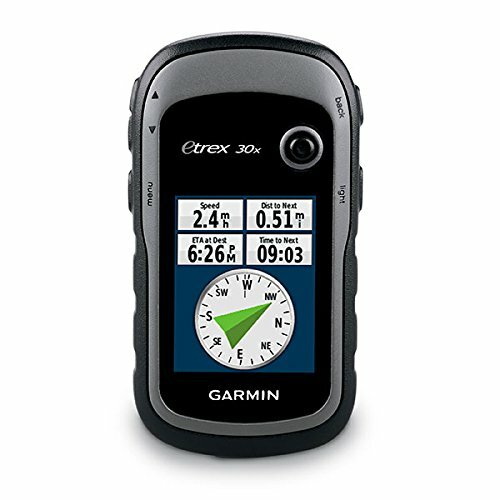 the eTrex 30X is the perfect entry-level GPS unit; its much more affordable than other models, although you’ll have to invest in some quality maps (or find free versions online). >> Learn how to buy the Garmin eTrex GPS! A satellite radio or SMS device might just be one of the handiest emergency items in your pack. These phones and communications devices will keep you connected anywhere. 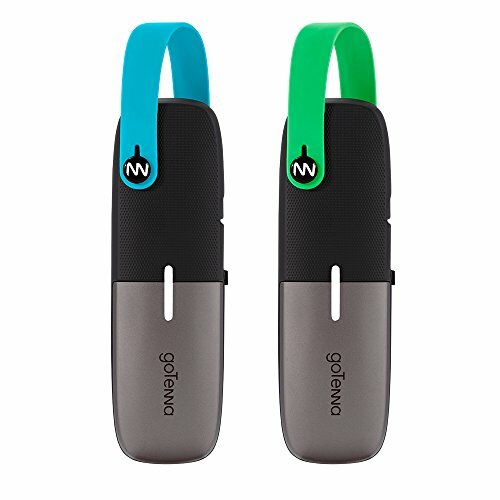 Techies will love GoTenna Mesh! Here’s how it works: GoTenna units serve as nodes on an ever-expanding mesh network. When your node is powered on, it can send and receive SMS and GPS data, but it also relays other messages sent via the mesh network. There are numerous applications that are perfect in the backcountry. For example, suppose you and friends were climbing a few miles from basecamp. Using GoTenna you could relay messages back to basecamp, even if you didn’t have Wi-Fi or a cellphone reception. The key, though, is number of users. The more users that carry a GoTenna Mesh receiver, the more reliable your signal. If you’re not within range of another device, you can’t communicate. And since it uses radio waves to send messages – much like a walkie-talkie – range is dependent on your terrain. If you’re at the bottom of a canyon, your range might be limited to a half mile. At the top of a mountain, you may be able to reach a device 10 miles away or more. Final Verdict: GoTenna Mesh is relatively new, but it has promising applications for backcountry hiking, climbing and hunting. This was our favorite satellite communication device for outdoor trips, and we highly recommend it for you too. >> Learn how to buy the GoTenna Mesh Satellite Device! 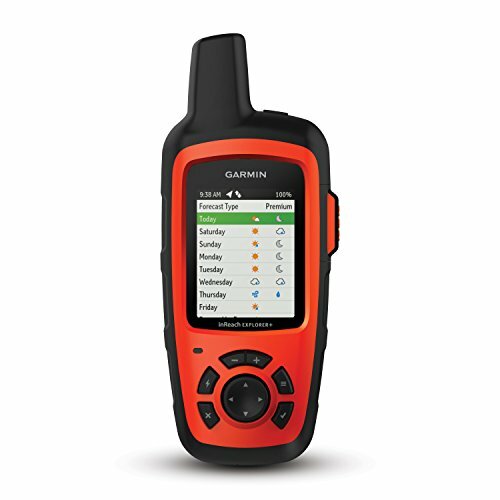 The Garmin inReach Explorer+ is part handheld GPS and part satellite SMS tool. It allows you to send texts anywhere in the world. Plus, it also has handy built-in TOPO maps for navigation. This is a handy little device that can make all the different in emergency situations. There are tons of great features. You can track and share GPS locations with MapShare. The device logs waypoints every 10 minutes, which then become available via MapShare, and your friends and family can follow your progress. The SE+ and Explorer+ are both connected with GEOS, allowing you to send SOS messages 24/7. GEOS then alerts search & rescue teams to your location. And you can even update your Facebook or Twitter status using the device. You can also check out the base model SE+, which includes everything but the preprogrammed maps. Final Verdict: the inReach Explorer+ keeps you connected no matter your location; one of the best emergency response devices on the market. We think this is one of the best satellite communicators on the market for outdoor adventurers: camping, hiking, biking, or for anything you enjoy doing outdoors. >> Learn how to buy the Garmin inReach Explorer+! Sure, a radio might be a luxury camping item. But whether you’re car camping, or trekking in the backcountry, a radio or speaker can transform your experience. 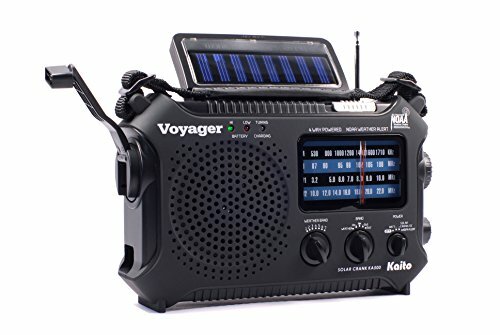 The Voyager is a radio designed for backpackers and adventurers. It has tons of great functionalities. The radio has a wide reception range, including AM/FM, shortwave and NOAA weather updates. And all the weather stations are pre-programmed, so you don’t have to remember call signals. But this is much more than just a radio. The Voyage is equipped with six different charging options, including batteries, a built-in rechargeable battery, USB, solar and even a hand crank. Plus, it’s a competent mobile power station, allowing you to charge USB devices. Final Verdict: the Voyager radio has tons of great emergency features; it’s a great little 1.6-pound backpacking radio. This is our favorite, by far, in the category for outdoor camping and hiking radios. The Voyager is versatile and always chargeable with solar panels ready to go. >> Learn how to buy the Kaito KA500 Voyager today! The U4 isn’t your average portable outdoor radio – it’s built tough. The U4 water resistant, equipped with a sturdy built-in stand, and the bendable antenna won’t break. Yet, it’s got all the features you want from a modern radio: AUX-in jacks, a loud 7W speaker, mobile phone charging capabilities, and excellent reception. Plus, the U4 looks super cool as an outdoor adventure accessory. It’s got a built-in black aluminum frame, integrated handle, and a rugged blue housing. And the sound quality can’t be beat for a small portable radio. It is fairly large, though; you wouldn’t bring this backpacking. But for car camping trips, it’s perfect. Final Verdict: the U4 is the best car camping radio money can buy. It’s affordable and gives you the best radio experience, for its price. 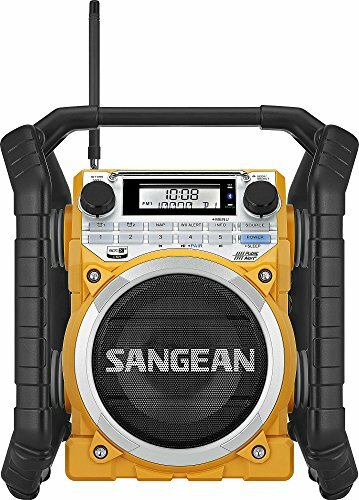 >> Learn how to buy this Outdoor Portable Radio for Camping! 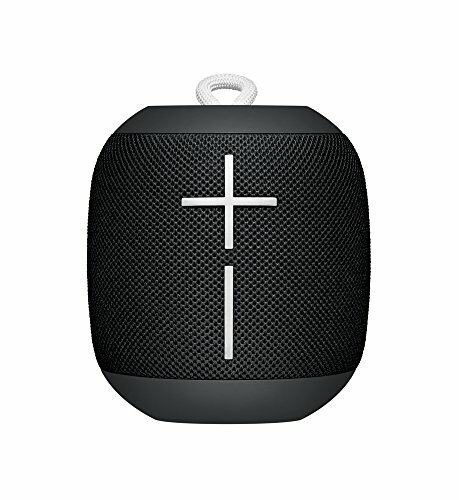 A Bluetooth speaker is the perfect trail accessory for backpacking, camping, hiking or even long trail walks. And the UE Roll 2 is one of the best. It’s super lightweight – about 330 grams – and its domed shape delivers 360-degree sound. The speaker has a super sleek design, too. On the back, there’s a strong bungee strap that’s easy to connect to your pack. And it’s completely waterproof in up to 1 meter of water. In fact, use the included floatie and float it right next to you in a backcountry swimming hole. Plus, the sound quality is incredible. The UE Roll 2 is louder than its predecessors -- 86 dBs – and it has a 100-foot Bluetooth range. Final Verdict: this Bluetooth speaker is sleek, lightweight and the sound quality is off the charts. You might be 100 miles from the nearest electrical outlet, but with a great mobile power station, you can power-up no matter where you are. A must-have item if you’ll be taking along a GPS unit, rechargeable light, or even your phone. This is the best mobile power station for backpackers, hikers, and campers. If you need a mobile power bank for USB devices, this one checks all the right boxes. For starters, it has tons of capacity. With full power, it can recharge an iPhone X nearly 6 times. And it takes just 14 hours to fully recharge with a 1A adapter. It’s relatively lightweight too. The RAVPower weighs just over one pound. Plus, with three USB ports, you can charge multiple devices at the same time with this outdoor charger. 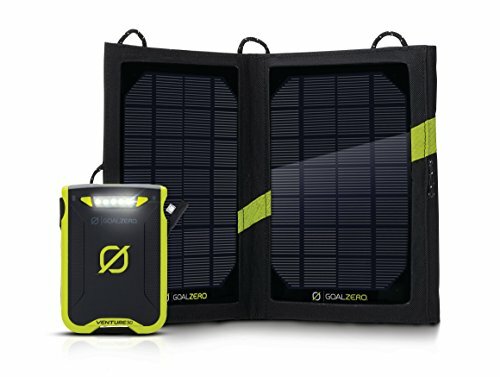 This is perfect mobile power bank for any outdoor device: Phones, handheld GPS, smart watches, and rechargeable flashlights. And with such high capacity, it’ll help you extend battery life on long-haul multi-days. Final Verdict: the RAVPower’s massive capacity and lightweight footprint make it the ultimate backpacking accessory for those that want to stay connected. 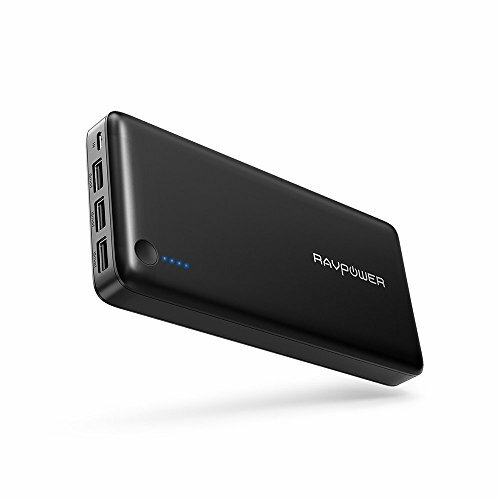 >> Learn how to buy the RAVPower 26800mAh for your outdoor trips! The Venture makes charging easier. No extra cables to remember, and no need to keep it dry. It’s fully weatherproofed, with an IPX 6 weather rating. And both a USB and micro-USB cable are built-in, so you aren’t S.O.L if you forget your charging cord. Plus, it’s super lightweight compared to most power banks, weighing just a half pound. Of course, in keeping weight down, the Venture doesn’t have the capacity of more some larger power stations. It’ll recharge your phone about 2-3 times, though. But on shorter trips, that must be enough. Final Verdict: the Venture’s weatherproofed case and small footprint make it great for backpackers and campers. This is an awesome, lightweight, weatherproof charger for any outdoors experience. 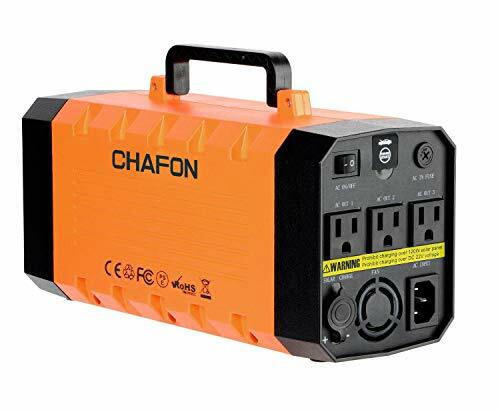 The Chafon 364WH Generator is the ultimate outdoor power bank. It has a massive capacity; you can charge your phone nearly 30 times on a single charge. Plus, it has AC outlets, so you can plug devices right into it, e.g. a laptop or coffee maker. At 7+ pounds, it’s not useful for backpackers. But if you’ll be car camping, it’s something you won’t want to leave home without this excellent portable generator. This outdoor camping and RV generator comes with everything you need: jumper cables, an AC output cable, DC and car charging cables. And it recharges in the wall fairly quick. If you want some of the comforts of home at camp, bring this generator with you. Final Verdict: the Chafon is a robust battery-powered generator that can charge or power just about any device. >> Learn how to buy the Chafon Portable UPS Battery Backup Generator! Going for that FKT record on your favorite trail? Or maybe you need to check the times against your tide table. A great adventure watch can keep you on schedule on your next hiking trip. The Traverse is the best watch for hiking, and is much better than any other GPS watch. You can add your own topographical maps, track steps, altitude and more, and you can plan your routes using the Movescount app. In other words, this watch does a lot more than tell time. Want to wake up early or head back to camp at a certain time? The watch’s alarm function is great. Its barometric pressure reader can predict weather changes and storms, and it lets you know. And you can save routes and add waypoints on your trip. Not to mention, the Traverse has a sleek design. It’s decidedly outdoor ready, but looks modern and would fit in at the office, as well. Final Verdict: the Traverse is one of the best smartwatches money can buy; its rich features will keep you connected and safe. It’s also a watch that works well for outdoor explorations and adventurers, and for people who don’t mind rugged trails and terrains. 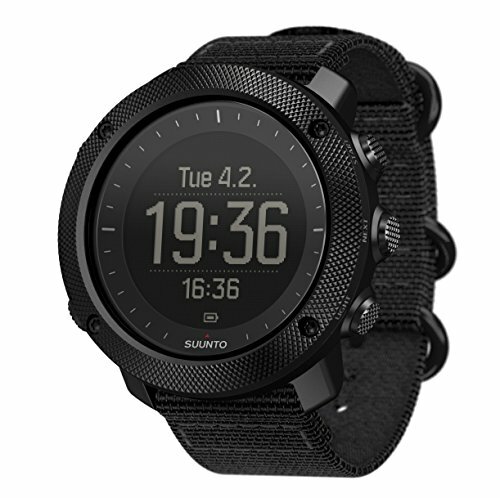 >> Learn how to buy the Suunto Traverse Alpha Outdoor GPS Watch! Casio’s ProTrek line offers tons of great smartwatches for hikers, bikers, climbers and outdoor enthusiasts. But the WSD-F20WE is hands-down the best. It’s a GPS-equipped smartwatch with useful functionalities. The GPS is great. It gives you accurate readouts of your current location on a colored map. Plus, the built-in altimeter and barometers are perfect for tracking weather and altitude. What’s more: The watch is equipped with Android Wear 2.0. That makes it easy to synch with Google apps, and there are a few cool voice commands you can use. The only downfall: the watch doesn’t have the best battery life, especially when using GPS. Extend it by using sleep mode, which will give you about 36 hours of use. In terms of design, the watch has a classic profile. If you want a smartwatch that looks like a classic analog timepiece, this is it. Final Verdict: the WSD-F20WE is user-friendly and full of awesome features – the perfect watch for dayhiking and backpacking. 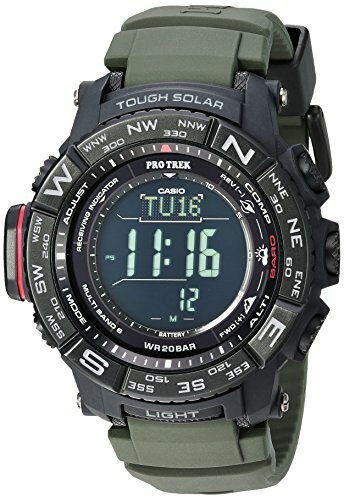 >> Learn how to buy the Casio ProTrek Watch for Outdoors. 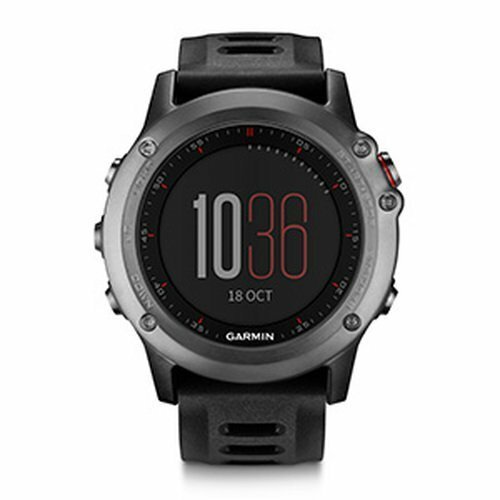 If you’re a fitness buff, this is the perfect outdoor smartwatch. It can help you track performance of a long list of activities, including hiking, trail running, paddling, and cycling. And its GPS functions are perfect for hikers. Add destinations via the app. Then, when you’re ready, the watch can help you stay on the course in route. With TracBack, you can set a starting point, and the watch will help navigate you back to your starting point. The watch also has the weighty feel. It’s built from high-end materials, including a stainless steel-plated housing and crystal lens. And its equipped with a high-capacity battery. The watch gets about 40 hours in GPS mode, up to two weeks in standard smartwatch mode. Final Verdict: The Fenix 3 HR smartwatch provides tons of useful data to take your workouts to the next level. Stay Connected with the Best Outdoor Electronics and Gadgets to Help You Stay Safe, and Secure. Camping is the ultimate escape; we do it to get away and unplug. But a few choice camping electronics can make your trip that much more memorable. Heck, in a few cases, they can save your life. So, if you want to stay connected, you should consider any of these awesome camping devices. Let us know what you think. 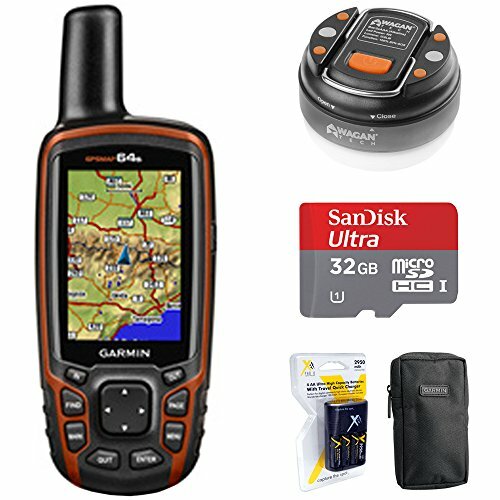 Are there any digital backcountry tools that we’ve missed? Connect with Angel Outdoors on social media and let us know! 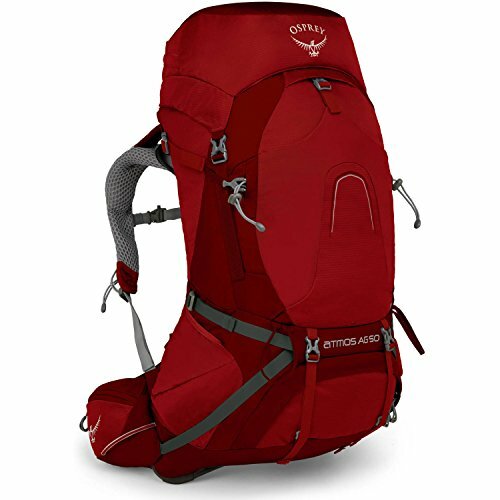 Thank you to Matt Davis for researching and compiling this article on the best outdoor gear and gadgets for hiking. This is one of many we are creating for outdoor adventurers around the world.